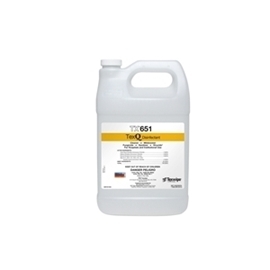 TX650 TexQ® Disinfectant is an EPA-registered, one-step disinfectant & cleaner highly effective against a wide spectrum of bacteria, viruses and fungi. It is fragrance free, dye free, and 0.2 micron filtered. Effective against a broad spectrum of bacteria, viruses and fungi (59 kill claims), and inhibits the growth of mold and mildew and their odors when used as directed. Recommended for use as part of a disinfectant rotation program. Ready-to-Use solution in one gallon bottle (reorder number TX652). 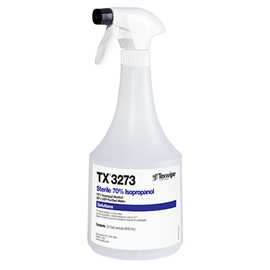 TX650 TexQ® Disinfectant Ready-to-Use in both 22 oz spray bottles and 1 gallon bottles is Gamma Irradiated and sterile validated according to AAMI guidelines. Concentrated solution (reorder number TX651).